Many laboratories in Canada conduct testing for legislation that is enforced by the CFIA. Accreditation of testing in these laboratories is governed by the Agreement Between the CFIA and CALA for the Accreditation of Testing Laboratories, which came into effect in March 2012. Under this agreement, the CFIA recognizes CALA as an Accreditation Body for Accreditation of Laboratories conducting analyses and tests in all technical fields related to food, feed and fertilizer as per the appropriate Legislation enforced by the CFIA. The responsibilities of each organization are detailed in the Agreement. There are some applications of ISO/IEC 17025 that are specific to this field of testing. 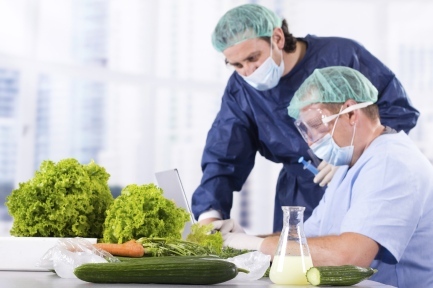 How do I apply for accreditation of food-testing methods? If you are a brand new laboratory, please complete P04-03 CALA Application for New Accreditation. If you’re already accredited by CALA, have an upcoming reassessment and want to apply for new appendices, please complete the appropriate number of scope of testing templates (Annex 1 of P04-03). If you’re already accredited by CALA and are not due for a reassessment this year, please complete P04-05 CALA Application for Abbreviated Assessment. What if another accreditation body already accredits my food-testing methods? If the accreditation body is signatory to the International Laboratory Accreditation Cooperation (ILAC), there are procedures in place to transfer the accreditation. Please review P-26 – CALA Policy on Transfer of Accreditation. Food is listed as a different “field of accreditation” than “environmental”. What is a field of accreditation and what does this mean? A field of accreditation is a broad category of accreditation, generally defined by required expertise. For example, while some assessors may have expertise to assess both environmental and food testing, some assessors may not have the experience or credentials to assess both types of testing. Practically speaking, this means that two assessors may have to be assigned to cover a proposed scope of testing even if the laboratory is fairly small. It’s not unusual that different fields of accreditation have slightly different procedures or require specialized policies or application of the standard, simply due to the nature of the testing. What is the cost to apply for accreditation? The costs are all described in P02-02 CALA Fee Schedule. If you know the number of appendices, you can easily estimate the application review fee and annual accreditation maintenance fee. Please see the next section for guidance on how to define an “appendix”. When estimating assessor travel, the laboratory will have to incur the travel and expenses of an assessor that either works for or is approved by the CFIA. How do I complete a Scope of Testing template? Appendix Name – List the main analyte or group of analytes (e.g., Salmonella, Pesticides, Coliforms, etc…). Matrix – List the types of foods that are tested for legislation under CFIA in the laboratory (e.g., meat, eggs, poultry). Also, please list any exclusions (e.g., Milk (excluding Pasteurized Milk)). If there is not enough room in this field, simply note these matrices somewhere else on the page with a clear indication as to what they are, so that they are not confused with analytes. Test Method – List the main analytical method (e.g., GC/MS). Method Reference – List the reference method (e.g., MFHPB20). If the method is followed exactly, do not check the box that says “Modified from”; if this box is checked, the scope listing will say “Modified from MFHPB20”. Note, in cases where there are modifications to the reference method, it is required that the laboratory have a document on file listing the modifications from the reference method (please refer to A12 – CALA Policy on Reference Methods). Test Method I.D. – List the laboratory’s internal document control number for the method. Analytes – List the analytes; an appendix may have one (1) analyte (e.g., pH) or several (e.g., a list of pesticides). NOTE: One reference method may result in two or more appendices (e.g., Pesticides in Meat using GC/MS and Pesticides in Meat using GC/FID). Proficiency Testing Option – Refer to P02-03 CALA Program Description – Proficiency Testing Policy for Accreditation for guidance on proficiency testing requirements. Circle the option that is applicable for the analyte. PT Provider – Document the name of the PT provider (e.g., AOAC, Wibby, etc…). I still have a few more questions; who can I call? Please contact the CALA office at 613-233-5300 and ask to speak to an Accreditation Officer.